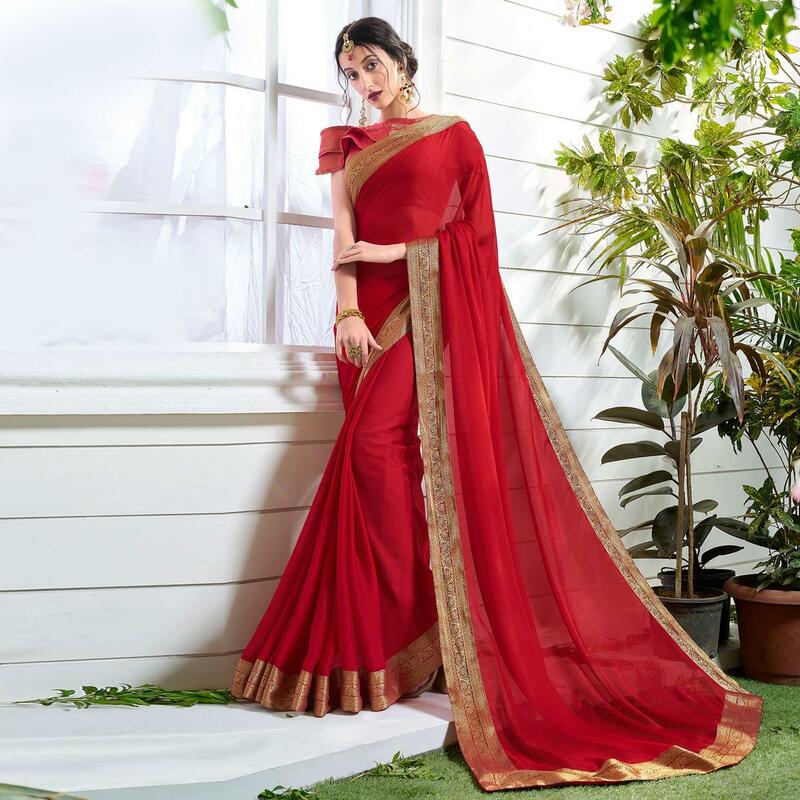 Home / Pleasurable Red Colored Designer Party Wear Chiffon Saree. Pleasurable Red Colored Designer Party Wear Chiffon Saree. 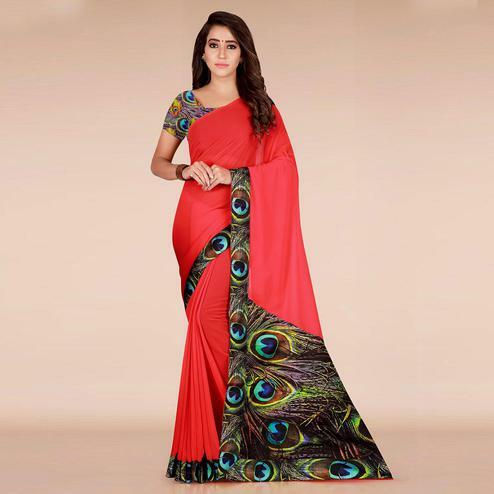 Enhance your beauty and glow with this red colored designer party wear chiffon saree. 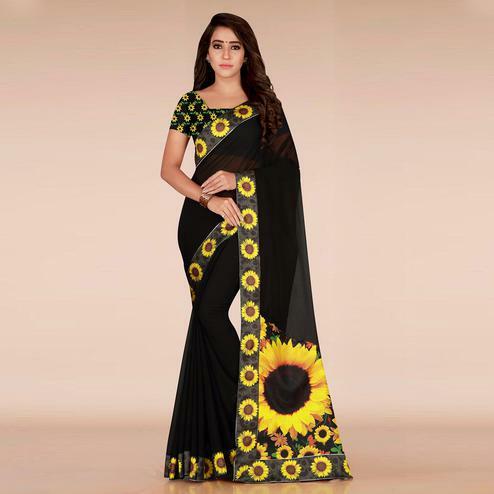 This is a pure chiffon fabric saree and has gold lace printed border which makes it look special along with simplicity.The saree is a perfect match for ones who want bright colored outfits for traditional events.It is a sparkly and easy to put on outfit. 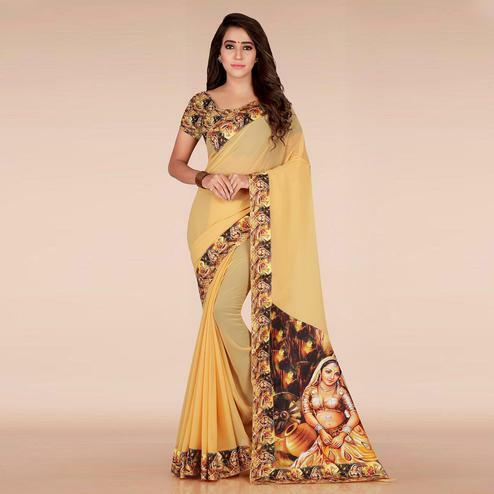 The saree comes along an un-stitched brocade matching blouse to give a solid look to the attire. You can wear this at the weddings, receptions,family functions or on festivals. Pair it with beautiful gold jewellery and heels and your look for the event would be complete without having to put much efforts.